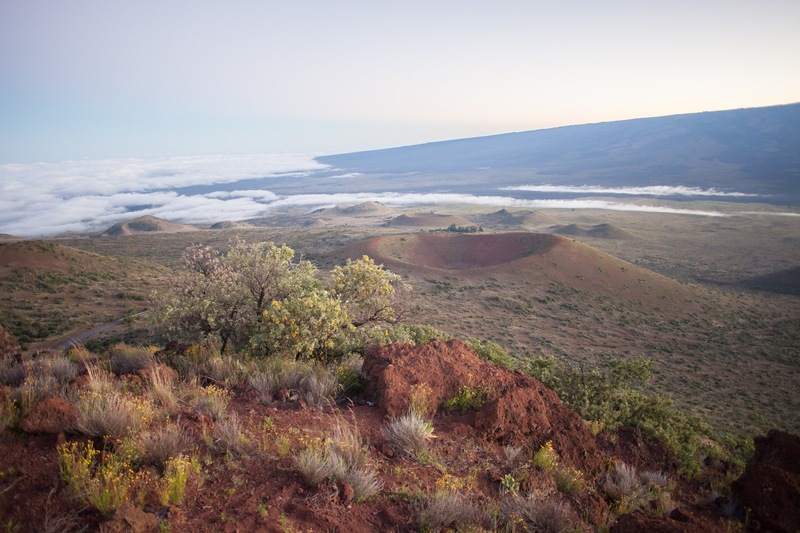 When on the Big Island of Hawaii there are three unique adventures that comprise the 'Big 3'. 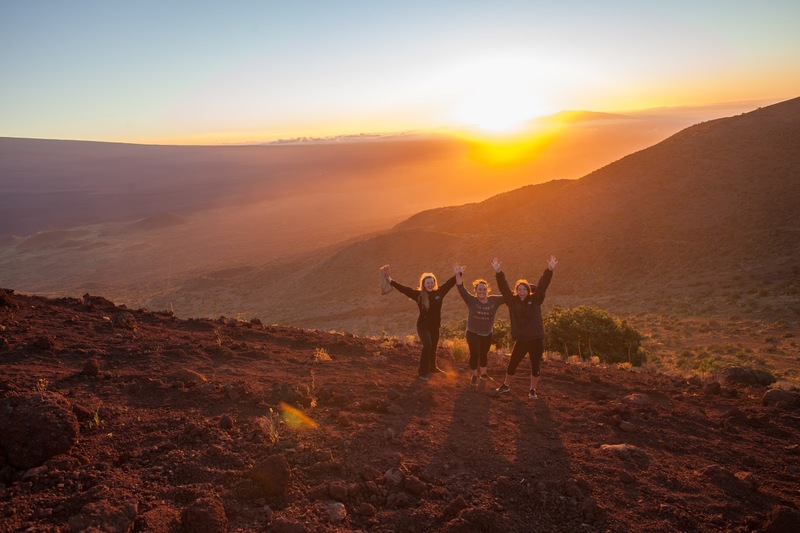 Hiking out to see the ocean entry where lava from Kilauea Volcano is dumping into the sea, Watching the sunset and then star gazing from the summit of the tallest mountain in the world Mauna Kea, and finally to go swimming on the famous manta ray night dive off the Kona coast. You will need 3 different nights and a pretty good rental car to complete all of these amazing and unique feats so good luck. 1: Hiking to the Lava Ocean Entry: This can be the deal breaker because even though Kilauea Volcano has been actively erupting since Jan 3rd, 1983 it does not always flow into the ocean. 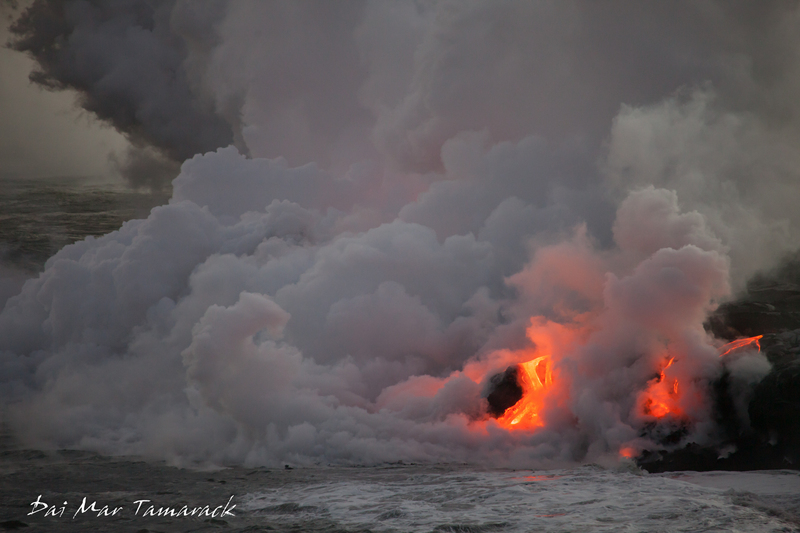 Sometimes the escaping lava can flow back underground through cracks and tunnels, or towards towns like it did two years ago in Pahoa, or just bubble at the lava filled crater lake. You can always go up to the summit where Halemau'mau Crater gives off an ever present glow and visit the informative Jaggar Museum. But to really get a feel for the volcano and to get up close there is nothing quite like hiking out to see the red hot molten rock slowly working its way down to the coast where it explosively meets the incoming waves of the might Pacific Ocean. Before making the trip to see the lava I always check the USGS eruption update website which gives precise information about where the volcano is erupting and if there is an ocean entry. Up until a few years ago hiking out was either with an organized tour, or attained by sneaking out for miles over the uneven lava rocks of other recent flows. Now it is as easy as ever. There is a gravel road that was built as an emergency escape route for Pahoa residents 2 years ago when the lava flowed towards that town. Now the road provides safe access for hikers and bicyclist for the 5 mile distance out to the current lava ocean entry. You can even rent a bike right there at the Kalapana parking lot. Either mode of transportation you choose the best way to do it is to head out in the late afternoon, then sit and watch the ocean entry until after sunset. The orange glow that gets brighter and brighter as night falls is like no other color in nature and definitely a must see. 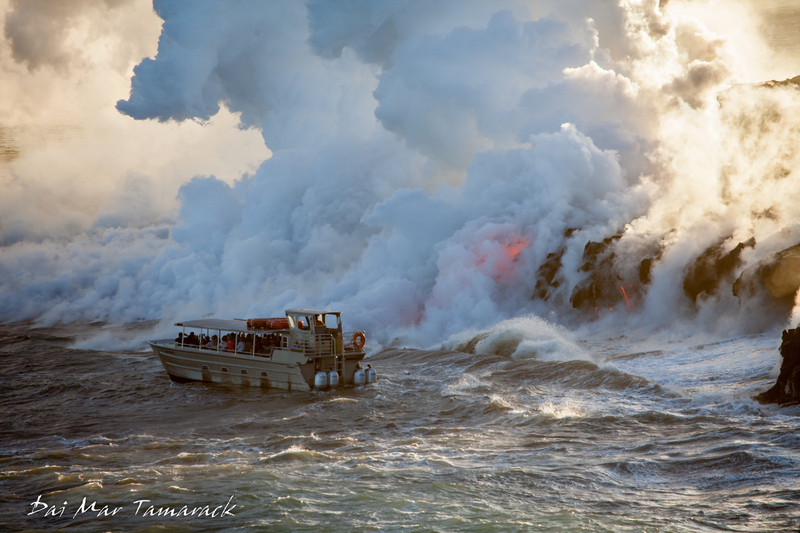 There are two other ways to see the lava; a lava boat tour, and a helicopter tour. Both are quite expensive when compared to walking out or a $20 bike rental, but will give you different perspectives. 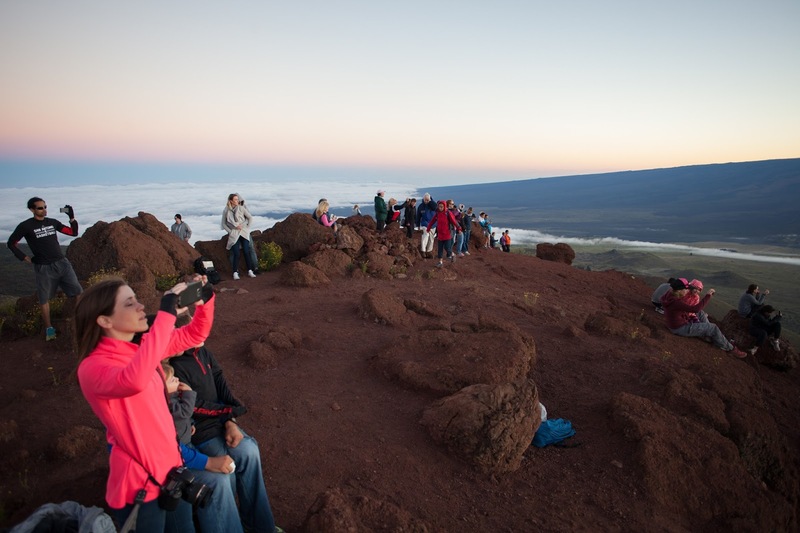 However neither of these tours operate after daylight hours so you will be missing one of the best parts of lava viewing, that beautiful glow in the dark orange. And if you hike out there is always the possibility of ducking under the suggested safety line and out across the lava field to get up close with flowing lava. 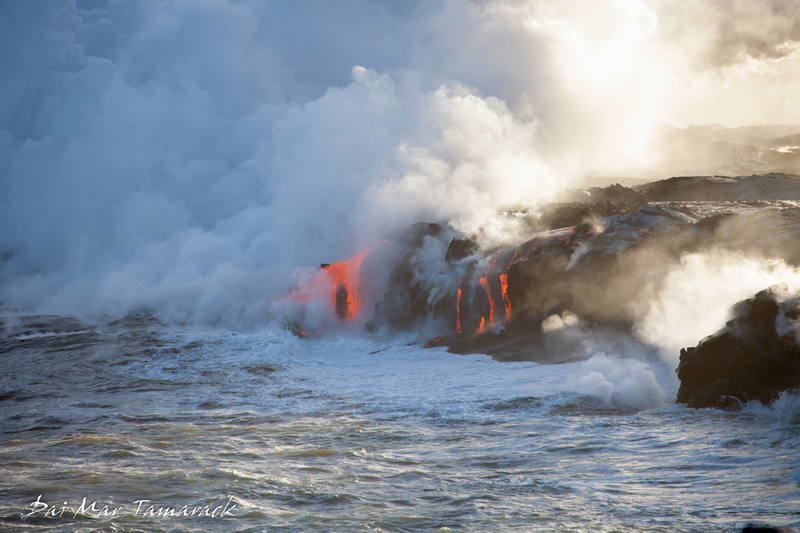 While getting close is a wild experience you can melt through the bottom of your shoes and as with everything in Hawaii be respectful, since some believe the lava to be a form of the goddess Pele' and very sacred. 2. 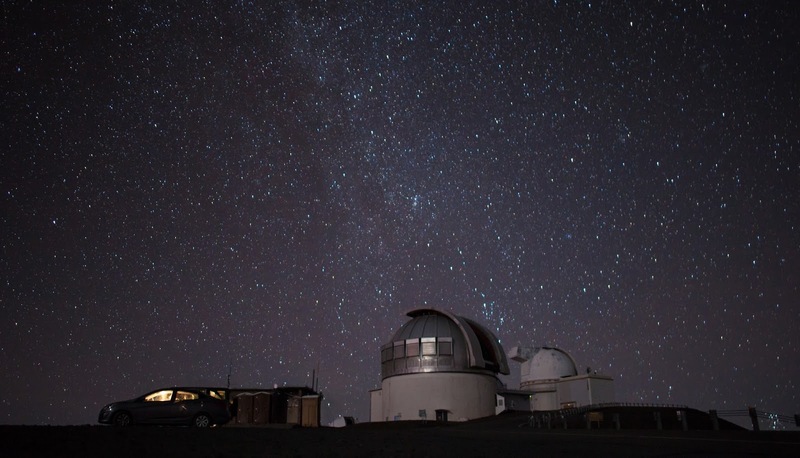 Sunset and Star Gazing on the Earth's Tallest Mountain, Mauna Kea:There is a reason that the world's leading telescopes can be found at the summit of Mauna Kea volcano on the Big Island. Standing at 13,802ft above sea level, astronomers often find themselves above the cloud layer and with less atmosphere to look through as they peer into the far reaches of space. But you don't have to be a professional astronomer to enjoy one of the clearest night skies many people will ever see. There are so many stars that I start to lose track of where the constellations are. Waiting for sunset is an almost religious experience that you will no doubt share with a few other adventurous travelers who are in the know. And then after a few shooting stars it's time to drive back down the steep, washboard dirt road to the visitor center at 9,000ft where telescopes are set up from 7-10pm and open for visitors to look through. Think about the rings on Saturn, moons of Jupiter, and craters on the moon like you've never seen them before. It is a can't miss experience and one that is very unique to the Big Island of Hawaii. While you don't absolutely need a 4X4 to make it to the summit most of the year, it can be tough if there are more than 2 people in a small rental car, and down right impossible if it is snowing, which it does every winter. 3. Manta Ray Night Dive in Kona: There is a reason that this is the number 1 night dive in the world. Part of the reason is that this is the only place where you can scuba dive at night and almost guarantee extremely close manta ray encounters. The other part is that scuba diving with manta rays is just so cool. These harmless cartilaginous rays dance in an underwater ballet through the lights collecting plankton in their huge mouths. Take a look at the video below to get a taste of what this phenomenon looks like. Snorkelers float on top of the water with lights pointing down, while scuba divers sit around the 'campfire' on the bottom with lights pointing up. Plankton is attracted to the lights which in turn attracts hungry manta rays which despite their large size feed on the tiny plankton. It is not uncommon to see 5 or 6 different manta rays during one dive, although some intense nights can have over 30 manta rays seen. 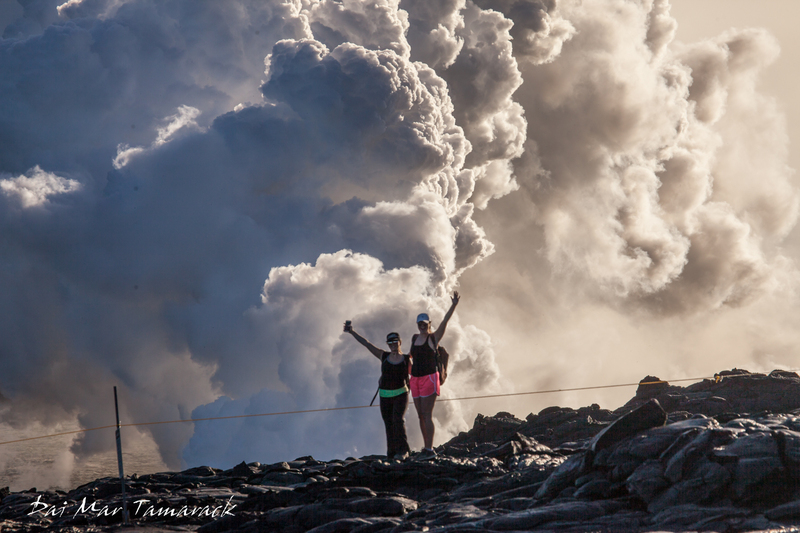 It is an experience of a lifetime and definitely earns its place as one of the 'Big 3' adventures on the Big Island. There are lots of good operators to go out on the manta ray night dive with like Jacks Diving Lockers, Big Island Divers, and Kona Honu Divers, but my favorite is Kona Diving Co. Their professionalism is second to none as is their knowledge of the mantas.